Sustainability initiatives—social, economic or environmental—can have universal value for stakeholders. But how sustainability is defined, and what successful solutions might look like, can vary dramatically among different communities, or even conflict. One particular interaction a few years ago forced me to re-evaluate my own definition of sustainability, and this experience has affected my approach to the solution-finding process ever since. In 2014 I was working for a nonprofit organization that partnered with companies to certify their carpet supply chains as being free of child labor. I was just four years out of college, dizzy with optimism and eager to be working in a field that married my interests in products, ethics and sustainability. 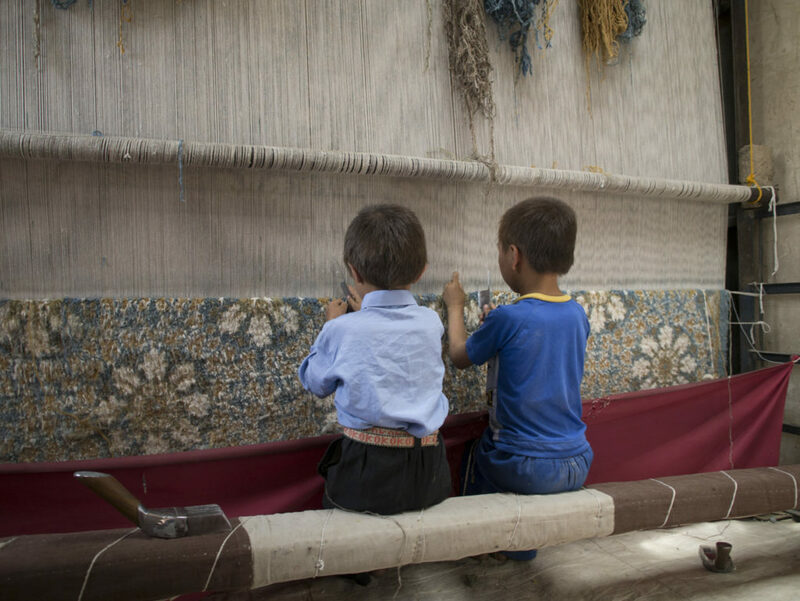 The 20-year-old organization I represented was doing incredible work – freeing children from licensed carpet looms across Asia and providing educational opportunities to rescued and at-risk children in the carpet industry. One particular day, I approached a representative from an Afghani carpet company at an international tradeshow for carpets. He was an older Afghani man and he represented a family operation that had grown into a profitable business despite decades of instability in Afghanistan. Once he saw the name of the organization I worked for emblazoned on my registration badge, his body stiffened. He looked me up and down with distaste and then looked away. I had begun the day with the assumption that the mission of the organization was unassailable. I had refused to consider an opinion like his valid, believing I knew his needs better than he did himself (those of us who have worked in sales convince ourselves of this with blinding certainty). His dismissiveness hurt. But, at the same time, there was a part of me that believed him. Or rather, believed in the validity of his perspective. In a recent article Mike Youngblood crystallized the question at the heart of this conflict: “Does objectivity and empathy for the cultural lives of others render us neutral … [and] does relativity preclude us from actively taking a stand on critical issues like sustainability?” My interaction with the Afghani man made me think at length about how his definition of sustainability – and how it related specifically to his perspective and cultural context – was so vastly different from mine. Did that fundamentally change my own perception of the work I was doing? Did it make it less valid? My personal stance on the ethics of child labor isn’t in doubt. I still believe that children should have the right to an education. That is core to my own definition of social sustainability and one that won’t budge. But I spent a lot of time in that moment’s aftermath thinking about how my work in sustainability may not have been universal. Instead, it was deeply rooted in my own value system. My perspective was hard-baked with judgments that were tangled up in my own aspirations and upbringing, not his. My actions to help this man and the industry were not so straightforward, on further reflection. Could my work, all along, have been helping some but hurting others? And what does “help” mean when one version of world order is at odds with another? The world feels safer when there are clear rights and wrongs. I see this every day in the wide support of movements to crush some industries and grow others, to consume some foods and not others, to wear some clothing brands and not others. All in the name of being a responsible citizen who stands for sustainability. It seems to me that this rush to right or wrong can strip issues of their complexity. There will be some winners in any push for a sustainable solution, but must there also be losers? Some people will lose their jobs, homes, and livelihoods due to interventions made in the name of sustainability. How do we reckon with those implications? And, knowing that, whose perspectives must we prioritize and structure a solution for? The majority? The minority? Mine? His? Graduate students out of Harvard and MIT conceived of an idea, GiveDirectly, to help extremely poor families in underdeveloped communities around the world by simply giving them cash. No strings attached. Their rationale: attaching conditions to the cash takes away the inherent right for people to choose for themselves. Who else can claim they know better? Some recipients plowed the one-time cash payment into small businesses, school fees and home improvements. Others used the money in ways that may not have helped them creep out of poverty. To what extent should social and economic sustainability projects embrace moral relativism? This acknowledgement of perspective is important because the issues that the sustainability movement attempts to tackle are global and transboundary. The implications are universal even though the ideas at their root aren’t necessarily. How can we structure solutions to balance this tension between relativism and globalism? Though my work has been largely focused around social sustainability and labor equity issues, I’m curious about transboundary environmental issues, too. The trends stare us in the face: sea-level rise, massive human migration, pollution. Does the inherent cross-boundary nature of the issues give us urgency to frame them in universal terms? Does it make them universal? Leaning into the grey areas inherent in these questions is a core challenge facing sustainability professionals, social scientists, policy makers, innovators, anthropologists and (not surprisingly) me. A curiosity to explore these unclear boundaries, and the tension between understanding self in relation to other inherent in all human-to-human interactions that fundamentally obscures the structure and objectives of business, was one of my motivations for pursing a graduate degree. That credential that will give me the license to say that I am a specialist in applying creative processes to analyze some of our biggest problems. But no degree or certificate gives me the license to assume I know someone better than they know themselves. I have a suspicion that the formal practice of understanding others is a veiled opportunity to just better understand yourself, your own biases and the processes you naturally assume. As I reflect on my interaction with the Afghani importer at the carpet tradeshow, it is clear that neither of us was wholly wrong or right. Instead, he placed higher value on certain variables than I did – and vice versa. Regardless of my degree and training, I’m afraid I still don’t have a universal answer for how I could have more gracefully handled the conversation. There is a silver lining, as there tends to be in most messy things. The opportunities to work in sustainability are more numerous than ever. In embracing the pedagogy around human-centered design, my training is taking me away from what I thought I’d be doing (traditional “sustainability” roles) and allowing me to consider paths that I never before imagined. As I study human behavior, organizational design, teaming and even architecture, I’m reminded of how many ways there are to pursue sustainability. I’m experimenting with my own definition and application of sustainability. While I’m not positive that the GiveDirectly model of sending cash to rural villages in Kenya is the best way to solve the problem, I commend their experimentation. They are tinkering, testing concepts and overturning convention. I am encouraged by their courage to do so. Ethnographers have the tools to listen and observe, analyze and explore. In many ways, they are already outfitted to try to solve the issues that the broad-reaching sustainability movement attempts to tackle. I believe that after self-reflection and deep understanding of those we serve, we should commit to experimentation. Figure out what the balance between relativism and globalism means for each enterprise or project, knowing that the perfect solution may always be just out of reach. It is natural to fall prey to the reductive approach of categorizing everything as good versus evil or even sustainable versus non-sustainable. But the world is complex; there are rarely absolutes to lean on. This is painfully clear to me when my actions – where I buy my carpets or how I dispose of my trash – have impacts beyond my immediate community. As our actions become inherently transboundary, they call into question where and how we think of ourselves in relation to other members of the human race. How will we temper our own biases and how will we choose to dedicate our lives? My suggestion: find yourself in uncomfortable situations. And celebrate the moments that force you to think. Caroline Turnbull is a first year in the dual MBA/MA Design Leadership program at the Johns Hopkins Carey Business School and the Maryland Institute College of Art. 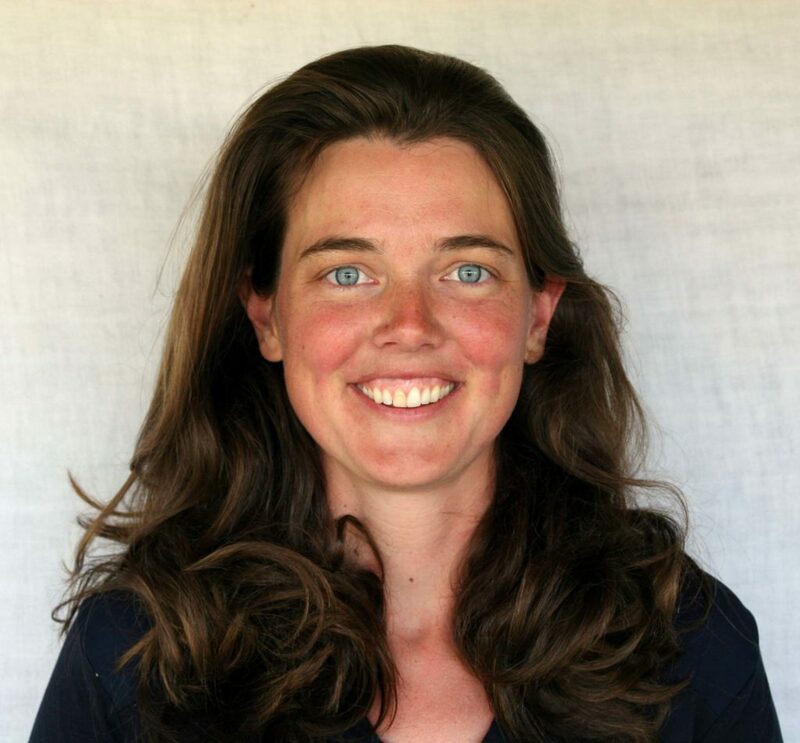 Caroline has been working in social enterprise since graduating from Colby College with a Bachelor of Arts in International Studies in 2010. Consulting and professional experience with start-ups and nonprofits feed the multidisciplinary approach that she applies to problems and opportunities. Thank you Caroline, this is a very nice essay that made me think (and i thought of that even before i got to your final celebratory sentence!). Stunning, stunning photo as well. Cheers.